Hunting has always been a hot button topic. You will get different reactions from different people. Folks closer to the land tent to favor hunting while urban dwellers resist it. There is nothing more Natural than Hunting. Humans are omnivores and predators. We have canine teeth, our eyes face forward, and we are effective predators. Our prey has often been other predators that have competed with our choices of wild game. With the decline of other predators, some see hunters as the next best population managers of game populations. Every environment has a Carrying Capacity. This means that only so many individuals can be supported and survive within a defined space. Once the Capacity is exceeded, Nature will take over. This means population declines through disease and other sad and wasteful methods. Ecosystems are also a renewable resource. Not harvesting the annual bounty is simply wasteful. Environmental and animal activists see hunting as barbaric and cruel. Any hunting causes animals to suffer and should not be killed for pleasure. They also feel that Hunter Licenses funds are manipulated to focus on just Game animals and not the whole ecosystem. Their solutions start and end with letting nature take her own course. The Humane Society contends that “hunted species such as waterfowl, upland birds’ doves, squirrels, deer, and racoons, provide minimal sustenance and do not require population control.” This attitude prevails despite meat donations to food banks and footing the bills for our wild places and parks. Sportsmen also have a responsibility to represent themselves smartly and respectfully. We are past the days when deer would be strapped to the fender of our trucks. Not everyone needs, understands, or appreciates this visual. Hunter orange needs to be a symbol of Stewardship and ethical management of our wild places. If we are viewed as Bubba Blood Thirsty Pigs, hunting will be doomed to extinction. Life is about choices. Choosing to hunt or not hunt is a personal choice. As a Father feeding my family, I choose to harvest wild and healthy game. No chemicals, all organic, and processed by the hunter. Hunting is also a sport that is defined with limits, rules, regulations, safety, skills, and developing all your senses. Every parent hope that these will be qualities of their kids. Getting children outdoors, and off the sofa is a great solution. No other sport offers the excitement, benefits, and rewards of hunting. Deer and many other critters are also responsible for carrying diseases, ticks, CWD, and other health concerns. Pets and humans are at risk from these problems. Deer and animal strikes by cars on our highways causes great damage to life. As habitat is fragmented and decreased, these issues are more visible. These issues explode when the population is not managed. Public support for hunting is on the rise. 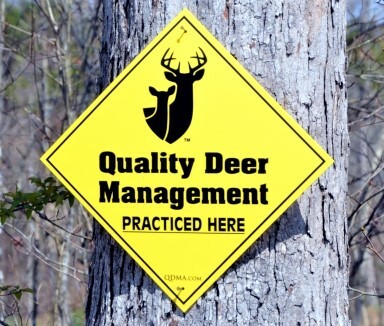 A 2007 survey completed by Responsive Management Inc., found that 78% of Americans support hunting versus 73% in 1995. A survey compiled by the National Survey of Fishing and Wildlife Recreation, showed only 5% of Americans today, 12-13 million individuals, consider themselves hunters. In 1996 this number was 15%. This small percentage of our population funds over 90% of the expenses for our parks, open spaces, and outdoor fishery and wildlife programs. Not just sports fish and wild game are supported. Every critter, plant, and entity in our ecosystem benefits. You can’t just grow deer without growing trees, flowers, plants, soil, insects, predators, and everything necessary in a habitat to maintain a healthy deer population. What is good for some is great for all. A decline in hunters and other sportsmen means less funding to protect everyone’s environment. Anti-hunting and fishing groups raise funds to eliminate hunting and fishing but pay little or nothing to create public lands, access, or parks. Almost all our public open spaces afield and in urban centers has bee paid for, managed, and protected by fees from sportsmen’s licenses and taxes on their gear and equipment. As sportsmen populations decline, so will our open space benefits. Ironically, our parks are open year around for all citizens but only for a few weeks or months for the sportsmen paying the bills. There have also been trends to add Hunter Safety Programs back into our schools. Other Outdoor Education Programs are also enhancing our education and school programs. Creating an intelligent, motivated, and responsible population of environmentally minded Conservationists is the vitally important for healthy Open Spaces and wildlife populations. Private Hunting Game Farms are also on the rise. These operations offer specific, healthy, wild game populations for harvest. New hunters can safely and successfully learn how to hunt. Aging hunters with limited mobility or folks with limited time, can set themselves up for hunting success. How we fill our freezers is a personal choice. The cost per pound for deer meat that a hunter harvests is pricey. Once you add in the travel, vehicles, gear, weapons, time, and energy expended, wild game is expensive. The experience, sport, companionship, adventure, and thrill are priceless!